Previously in order to achieve a capacity reservation, customers had to leverage Zonal Reserved Instances and commit to that capacity for a minimum of one year. Now with On-Demand Capacity Reservations, customers can reserve the exact capacity they need, in the location they need, and can keep it only for as long as they need it. This entry was posted in AWS, Cloud, Computer, Hardware, Murmuring, Network, Service and tagged amazon, aws, capacity, cloud, discount, ec2, instance, reservation, reserved, ri, service, spot on October 27, 2018 by Gea-Suan Lin. This entry was posted in Computer, Linux, Murmuring, OS, Software and tagged daemon, fastcgi, inittab, linux, monit, restart, smokeping, systemd, utility on October 22, 2018 by Gea-Suan Lin. Implement real-time collaboration in your web application by choosing one of the solutions. Both solutions offer a commitment-free 30 day free trial so you can take your time before you make the final decision. This entry was posted in Cloud, Computer, Murmuring, Network, Service, Software and tagged ckeditor, collaborative, editing, editor, service on October 17, 2018 by Gea-Suan Lin. 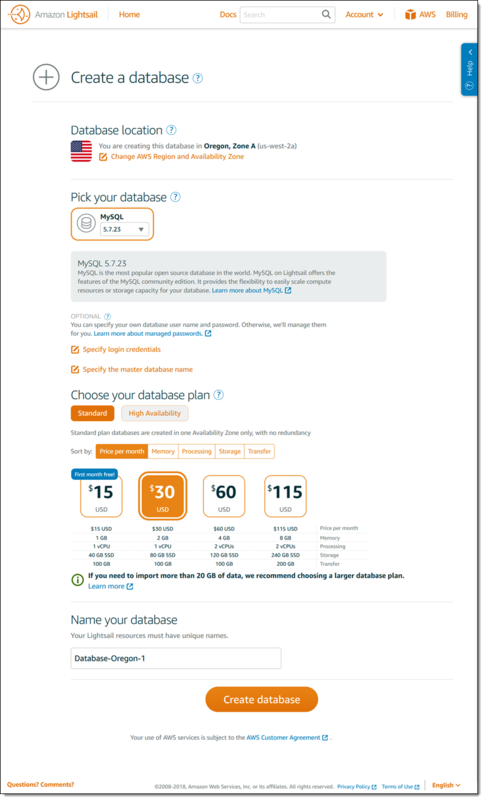 We are launching with support for MySQL 5.6 and 5.7, and will add support for PostgreSQL 9.6 and 10 very soon. This entry was posted in AWS, Cloud, Computer, Database, Murmuring, MySQL, Network, Service, Software and tagged amazon, aws, cloud, database, db, lightsail, mysql, rdbms, rds, service on October 17, 2018 by Gea-Suan Lin.